Johannesburg - Orlando Pirates defeated lowly Black Leopards 2-0 to give themselves a three-point lead at the top of the Absa Premiership on Wednesday. 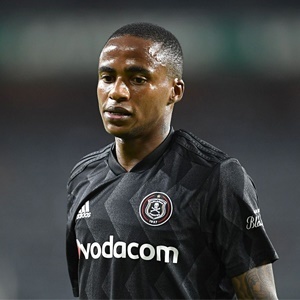 Luvuyo Memela scored a 23rd-minute free-kick at Orlando Stadium in Soweto and Thembinkosi Lorch put the outcome beyond doubt with a headed goal 10 minutes from time that pulled Pirates ahead of defending champions Mamelodi Sundowns. Pirates, seeking a fifth league title and a first since 2012, have 47 points with four matches to play while Sundowns have 44 but with two games in hand. The Buccaneers have a chance to stretch the lead to six points this Saturday when they host second-from-bottom Free State Stars. Leopards remain 12th, just one point above the relegation zone, but they have played one match less than most of the other clubs battling to avoid the drop. Pirates wasted a number of chances to have won more convincingly with Zambian international Justin Shonga the chief culprit. Malta-born Leopards coach Dylan Kerr slammed the "suicidal" football of his team during a second half when they constantly conceded possession cheaply. "I was gobsmacked at the final whistle when I noticed my players laughing, smiling and joking. There was nothing to be happy about," he said.